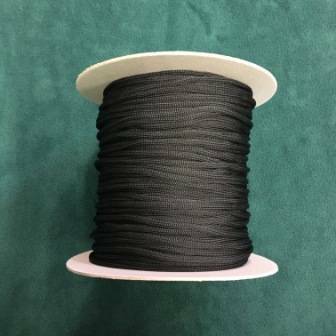 Bulk polypropylene drawcord (not tipped). Cut to the length you need, then tie the ends in a knot, or melt to seal. Use for drawstrings in clothing, bags, etc. 200 yard rolls are now available to order online! To order bulk roll(s), order quantities of 200 yards (or multiples of 200 yards). Please note that only FULL rolls qualify for discounted bulk price. If quantity ordered contains less than a full roll, regular price will be charged on actual invoice (may be different than on order confirmation).